The miraculous conversion that occured the day Venerable Father Germanus C.P. meets Gemma for the first time. 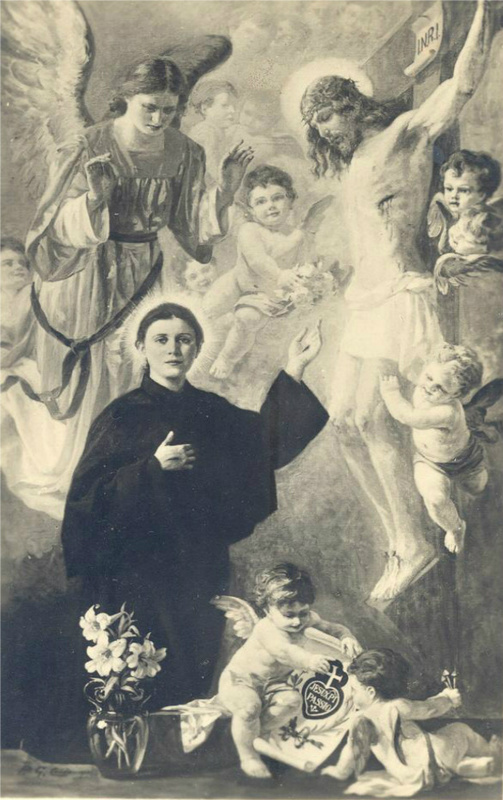 Monsignor Giovanni Volpi, Gemma’s confessor since childhood, knew of the reputation of Passionist Father Germanus Ruoppolo CP, for being not only an expert in Mystical Theology, but also his reputation for holiness. He wished to share his responsibility and judgement of the extraordinary things that were beginning to happen to Gemma, so he prevailed upon Father Germanus’ Provencial to order Father Germanus to examine his penitent (Gemma). Father Germanus was not interested in meeting Gemma, and upon hearing from Monsignor Volpi of some of the extraordinary things that were happening to her, he suggested (to his later embarrassment) that Monsignor Volpi perform an exorcism upon Gemma! 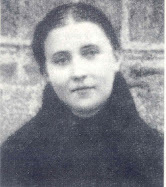 However, at the insistence of Monsignor Volpi, Father Germanus was ordered by his Provencal to examine Gemma, so in September, 1900, Father Germanus reluctantly went to meet Gemma at the home of her “adopted” family, the Giannini’s. "The subject of the ecstacy was the conversion of a sinner, and the form was a wrestling between Gemma and the Divine Justice to obtain this conversion. I confess that I have never beheld anything more affecting. 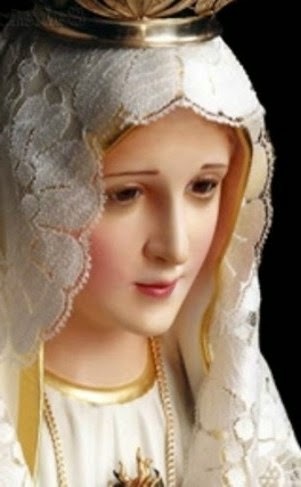 The dear child was sitting on her bed, with her eyes, face and all her person turned towards the part of the room where Our Lord appeared to her. She was not agitated, but earnest and resolute, like one in a struggle who is determined to win at any cost." "She began by saying, "Now that You have come, Jesus, I renew my supplications for my sinner. He is Thy child and my brother; save him, Jesus"; and she named him. He was a stranger whom she had met in Lucca, and moved by spiritual impulse, she had already warned him by word of mouth, and by letter to listen to the dictates of his conscience, and not be contented with the mere public reputation of being a good Christian. "Jesus seeming disposed to deal as a just Judge with this man, remained unmoved by the entreaties of His servant. But she, not deterred, rejoined: "Why today, oh Jesus, do You not hear me? For one soul only You have done so much! (meaning herself -editor) Why then will You not save this other one? Save him, Jesus, save him. Be good, Jesus. Do not say that to me. In Thy mouth, Who art Mercy itself, that word 'abandon' sounds bad. You must not say it. You have not measured the Blood that You have shed for sinners, and now do You wish to measure the enormity of our sins? Do You not listen to me? And I, to whom must I turn? You have shed Thy Blood for him as well as for me. Will You save me and not him? I will not rise from here. Save him. Promise me that You will save him. I offer myself victim for all, but particularly for him. I promise not to refuse Thee anything. Will You grant it to me? It is a soul. 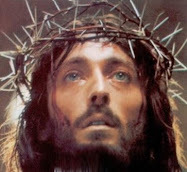 Remember, oh Jesus, it is a soul that has cost Thee so much. He will become good and not relapse." "In answer to all her entreaties, Our Lord put forward the Di­vine Justice. But she, growing still more fervent, replied: "I am not seeking Thy Justice. I am imploring Thy Mercy. Then Jesus, go in search of that poor sinner; press him to Thy Heart and You will see that he will be converted. At least try it ... Listen, Jesus, You say that You have made many forcible attempts to convince him, but You have not yet called him 'son.' Try that now, and tell him that You are his Father and that he is Thy child. You will find that on hearing this sweet name of 'Father,' his hardened heart will soften." And here Our Lord, to prove to Gemma what reason He had for remaining firm, began to show her one by one, with the most minute circumstances of time and place, the evil deeds of that sinner, adding that he had filled up their mea­sure. The poor child showed her dismay. She let her hands fall and heaved a deep sigh, as if she had almost lost the hope of succeeding. But quickly recovering from the shock, she returned to the attack. "I know, Jesus," she said, "I know it, that he has offended Thee thus grievously. But I have done worse and, for all that, You have shown me Mercy. I know, I know, oh Jesus, that he has made Thee weep. But now, Jesus, You must not think of his sins. You must think of the Blood You have shed. What immense Charity, o Jesus, have You not lavished on me! Use with my sinner, I implore of Thee, all those delicacies of Infinite Love that You have used toward me. Remember, Jesus, that I want his salvation. Triumph, triumph, I ask for him of You in Charity." "Well, I am a sinner. You Yourself have told me so, and that a person worse than me You could not find. Yes, I confess it, I am the worst sinner, and I am unworthy that You should listen to me. But look, I present Thee another advocate for my sinner; it is Thine own Mother who asks You to forgive him. See! Oh, imagine saying no to Thy Mother! Surely You cannot now say no to Her. And now answer me, Jesus, tell me me that You will save my sinner." "The victory was gained, the whole scene changed aspect, the tenderhearted Saviour had granted the grace, and Gemma, with a look of indescribable joy, exclaimed: "He is saved, he is saved! Thou hast conquered, Jesus; triumph always thus." And then she came out of the ecstasy. "This most affecting scene lasted quite half an hour. The words in which I have described it were in part taken down in writing, and in part preserved in my memory, from which I have faithfully drawn them. When it was over, having withdrawn to my room, with my mind engrossed by a thousand thoughts, I suddenly heard a tap at my door. "A strange gentleman, Father, has called and wishes to see you." "I bade him come in. He threw himself at my feet sobbing and said: "Father, hear my Confession." Good God! I thought my heart would burst. It was Gemma's sinner, converted that same hour. He accused himself of all that I had heard repeated by her in the ecstasy. He had forgotten one thing only, and I was able to remind him of it. I consoled him, told him what had just happened, got his leave to narrate these wonders of the Lord, and after a mutual embrace we parted. Some years have passed since that event, and I still seem to find myself present at it. In my copious notes I have particulars of other conversions similar in many ways to that just described and equally well authenticated. For the sake of brevity and to avoid uncalled for repetition, I have not given them here. "The fact narrated speaks for itself. There is no place for imagination or hysteria here. The devil is able to drag sinners to perdition, but not to convert them, much less in such a way as we have seen. "Notwithstanding my admiration at what I had witnessed, I did not stop there. I began my studies with great earnestness in order to make certain of Gemma's spirit. These studies lasted nearly three years without interruption. Guided by ascetic and mystical theology and by modern physiological science, I put her through lengthened trials so as to be able to say at last that I had not neglected any such steps, and it is worth observing that not one of them failed. The pious Bishop, her confessor, in his turn was satisfied. He approved of all that I had done and expressed his desire that I should take up the direction of Gemma. She, who more than anyone else feared being the victim of delusion, seemed to rise from death to life on learning my final assurance that what was happening to her was from God and that she could freely allow herself to be guided by the Holy Spirit in that way. " I'm the co-author with Cristina Mazzoni of The Voices of Gemma Galgani: The Life and Afterlife of a Modern Saint. In our book we feature both the photographs in question. The photo with a brick-wall background is the most authentic photo, taken when Gemma was about 22 years old. By "most authentic" we mean least altered by later photo experts. Gemma was far too modest ever to sit for a portrait but her adoptive family did have sufficient wealth to bring in a photographer on occasion. My personal preference is for the very pensive looking straight at the camera image but the one with a halo added and arms folded, looking upward, is probably the most widely reproduced. My absolute favorite is the photo (somewhat touched up unfortunately) of Gemma as a child, with her little sister Angelina in hand. The shoes are worth noting. I read this story first in "The Life of St. Gemma" and it is still a very powerful story. Whenever I find myself in times of temptation or doubt, I pray to her, "St. Gemma, pray for me as you prayed for your sinner." 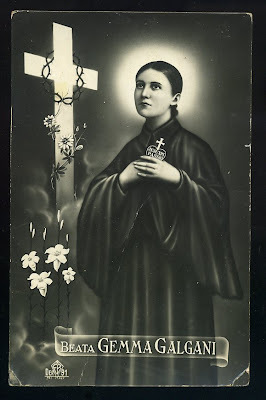 This story is perhaps one of my favorites in the life of St Gemma because in it we see her extraordinary love for others, and her great desire for the conversion of sinners. Thank God the Holy Spirit for guiding me in this website. 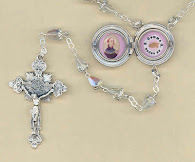 St. Gemma's love for others, is truly remarkable, How great is the power of intercession of the Blessed Virgin. While i am reading this, i really cried. I am glad to hear that you were inspired by this article and St Gemma's extraordinary intercession for souls. 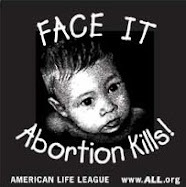 I pray that she may be your special advocate with our loving God. Her prayers are words of love to Jesus. repeated to Jesus my Healer. Praise be to God , my healer. Thank you so much for creating this site. It is put together so well and relevant to me because my name is also Gemma and I feel close to St. Gemma for that reason. Also, that she was a sinner but still received mercy from God and still has things to beg Him for, be it for herself or others. I never knew much about her and am very happy there is so much here to find out. Thanks again. God knows how important this site is to others. Thank you for your kind comments. I am really happy to hear that you are enjoying this website! You are blessed to be named "Gemma" and to have her as your patron Saint and heavenly friend. I pray that St Gemma may always be very close to you, and may she lead you ever closer to Jesus! I heard above st Gemma from The radio station Catholic Ignatius Marian spirituality and this incident was mentioned. I was searching the net and came across your info. Thank you for this detailed info. I will now pray to st. Gemma. We all need her to advocate for us. Thank you again !